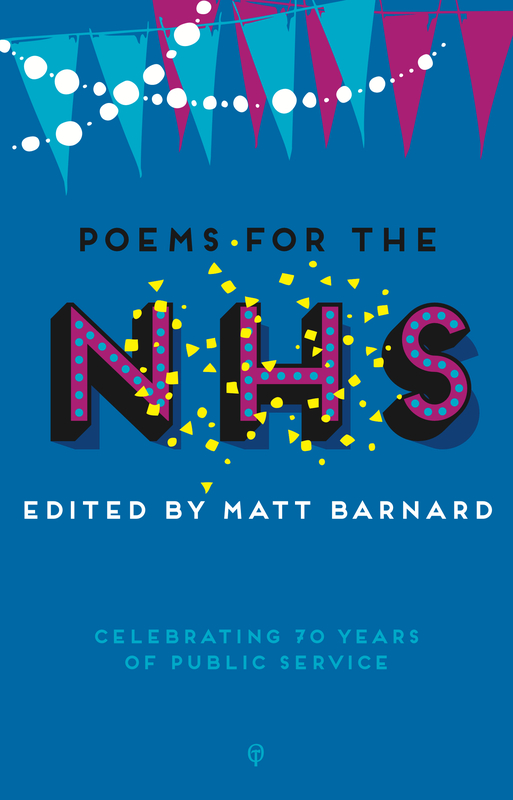 This anthology includes poems about receiving life-saving treatment, about the people who deliver that treatment with empathy and resilience, about friends and family and their intimate journeys and about the impact of both ill-health and the effect of the interventions aimed at curing it. It celebrates the fact that access to medical care doesn’t depend on the lottery of good or bad fortune, and we hope it is a fitting way to mark 70 years of an extraordinary institution. The anthology can be bought from The Onslaught Press. Profits from the book will be donated to NHS Charities Together. Greg Freeman on the Write Out Loud website – ‘Anthologies seem to be coming out thick and fast these days, often supporting the best of causes. Although it’s not possible to review them all, or even report their publication, here is one that certainly deserves a second glance, and not just because of its subject’s closeness to the nation’s heart. It’s the quality of the poems therein, too…’ Read the full review here. Merryn Williams on the London Grip website – ‘How lucky we are to have our National Health Service. However much we don’t want to think about what goes on in hospitals (more of that later! ), we are profoundly relieved that they are there, and that we don’t live in the Third World. Many of the contributors to this volume are eager to express their thanks…’ Read the full review here. There weren’t enough nurses for the wounded and dying. your father’s name picked out among the un-numbered. the whole night through to watch it happening. and I was shouting, shouting. watched by an eye in the door, to stop me escaping. When I had slept, they let me out to see you. let you know what was happening. Later, they let me see you alone. that rose and fell like music. I read you poems – the ones I loved. I was sure, once and once only, that you heard me. Whose death was I mourning, before and after? Yours, or your generation’s passed down to me? a blackbird sang in the tree. combines bowling skills with general knowledge. Nobody watches or changes the channel. to the ward that’s wired with orange poison. through The Shard and London Bridge Station.